Protectors Helmets There are 3 products. Crespina padded ideal to put on metal helmets. 100% cotton inside polyurethane foam padding. beige-white: natural color. 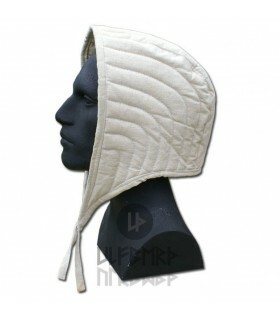 padded hood medieval essential complement helmets or executioners. natural, white-ecru. 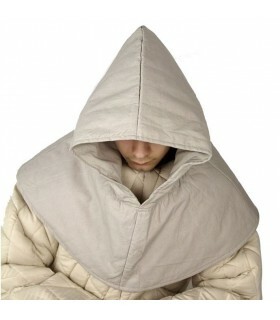 Composed of 3 layers: an outer layer of cotton, the core layer of soft wool padded and soft cotton lining. 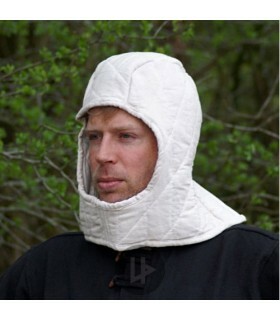 Protective cream cap for head shoulders and chest. Made of 100% cotton and filled in 100% polyester. Recommended to wash dry.